I have always had a passion for food, even as a little girl. My French-Japanese background and the two cultures of legendary culinary tradition have taught me the importance of dining as a true art of living. I spent a part of my childhood in Tokyo. My granddad had a “Bento” business (Japanese picnic) where he prepared food for his many costumers. My mother, who came from Normandy, always concocted simple and delicious traditional French dishes. Our kitchen always served as a place for reunions and sharing for our family. During our summer vacations to France, we feasted on delicious French products that were unavailable in Japan: baguettes, cheese, meats and wine. I remember grand picnics at the palace of Versailles, in the Loire and in Provence— all prepared with love and eaten by family and friends in the beautiful French countryside. I have been in Paris for 20 years where I work as a designer in the culinary field. Here in Paris I met Olivier, my ‘partner in crime’ who is a photographer by profession. I first in love with his work; his portraits and landscapes moved me before I fell for the man himself! Olivier and I share our lives together with our two children. We share Normandy roots, foreign experiences, and a true joy for living. We have combined our passions for food, photography and design to share what we love. 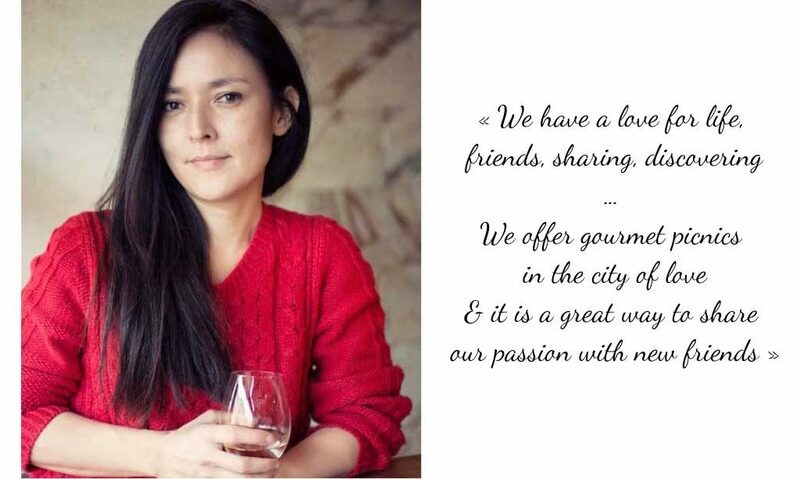 Let us share a beautiful Parisian experience and our gourmet picnics with you.